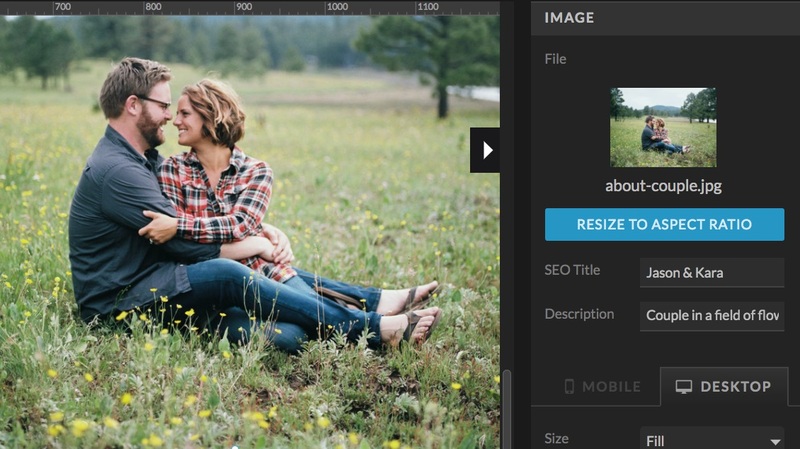 Select an image in the design to edit SEO Title and Description options. On a gallery, select an individual image in the list of images to edit. Details below on how each setting is used. SEO Title – The title images less important than the SEO description. It's generally only used for display purposes when referencing a specific image. The title usually is best represented with a short and simple representation of the image. A good tip is to avoid assigning the same SEO title to all your images as image reference can get confusing for users. Google recommends image titles is to providing good, descriptive titles and captions for your images. SEO Description – The SEO description will provide the Alt Text for your image. This text is important for SEO as it helps determine the context and description of the image. Think of the SEO description as the words you would use to describe the image to a blind friend in as few words as possible. While this is the area you want to focus on building and optimizing your images for SEO, it's also important to avoid keyword saturation or using the same descriptive text on multiple images.